As the hours of daylight are finally getting longer and balmy summer evenings are right around the corner, we start to remember just how good natural illumination can make us feel. 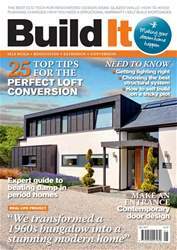 So it’s no surprise that designing a home that pulls ample brightness inside as the sun moves across the sky is high on the priority list for most self builders and renovators. Installing large spans of glazing will help to achieve this – and positioning them high up into the peak of your roof will maximise light gain and capture upper storey views, not to mention add to your home’s architectural appeal. Many people choose to use a glazed gable as part of a complete glass wall that reaches from ground level right up to the roof of a house. You can opt for slim-frame units that stretch all the way up the building, which work wonderfully in tandem with glazed doors and mezzanine levels. 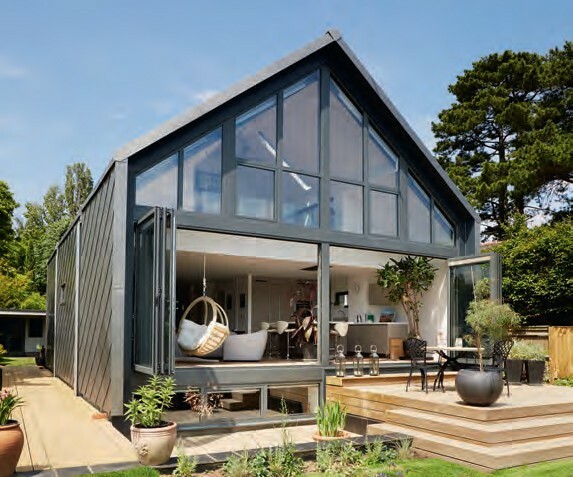 Alternatively, glaze a full two storey structure by using twin sets of full-height glass, stacked on top of each other with the structural join clad in something that matches either the window frames or the facade. If the gable end has a central chimney, look to glaze either side of it to create a design feature. The right style for you really hinges on how you want your house to look, its overall layout, design and location.